Message classifications were introduced with Exchange 2007 which seems like ages ago now. They are a piece of metadata which you can assign to messages, for example the intended audience or sensitivity of messages. These message can then be treated accordingly by the recipient or you can leverage transport rules functionality and Rights Management Services to act on or protect these messages. From the Exchange Management Shell, run the Export-OutlookClassification.ps1 script from Exchange scripts folder, e.g. Note: For the purpose of this example the XML is stored as C:\Temp\OutlookClass.xml . Note that “15.0” is for configuring Outlook 2013, replace with 14.0 for Outlook 2010 and 12.0 for Outlook 2007. Apart from the message classification “Internal Use Only” we created, you will also see that Outlook shows the internal classifications by their display name. That should not be happening. 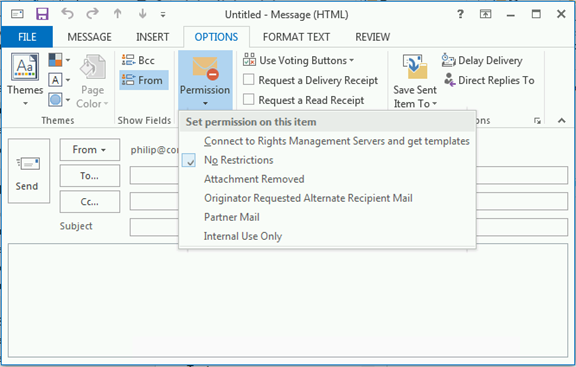 So, what you can do now and what the documentation seems to fail to mention, is that after exporting message classifications you may want to remove the internal classifications “Attachment Removed” (ExAttachmentRemoved), “Originator Requested Alternate Recipient Mail” (ExOrarMail) and “Partner Mail” (ExPartnerMail) from the XML export file. Downside is that message with these internal classifications will not display the related description in Outlook, but that should not be an issue and a better option than users being able to select them. 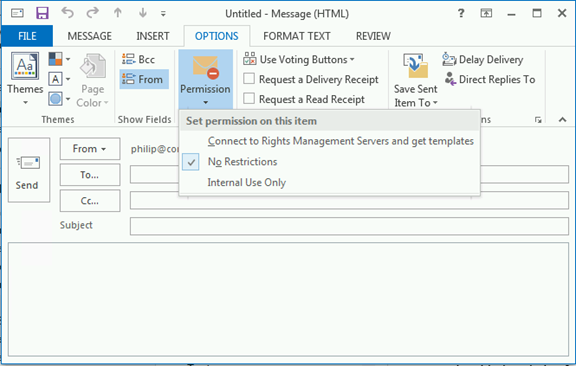 This entry was posted in Exchange 2013 and tagged Compliance, Configuring, Outlook by Michel de Rooij. Bookmark the permalink.